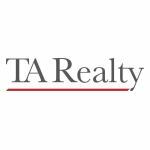 TA Realty is focused exclusively on private real estate investment in the United States. Since 1982, the firm has acquired, invested and/or managed $28.2 billion of real estate through a series of value‐added, commingled funds and core separate/advisory accounts. As of September 30, 2017, gross assets under management were valued at approximately $10 billion, comprised of 43.1 million square feet of commercial (industrial, office, retail) real estate and over 8,135 multifamily units. Cristina McElhinney graduated from Sloan in 2017 and works as an Acquisitions Associate at TA Realty. She will talk about her career.